Keep all your blades and tools in top condition. The DMT Diamond Whetstone fine sharpener is a high quality, professional-level sharpener that makes sharpening and honing easier! This sharpener uses real diamonds for fast sharpening when used in conjunction with the DMT Aligner. 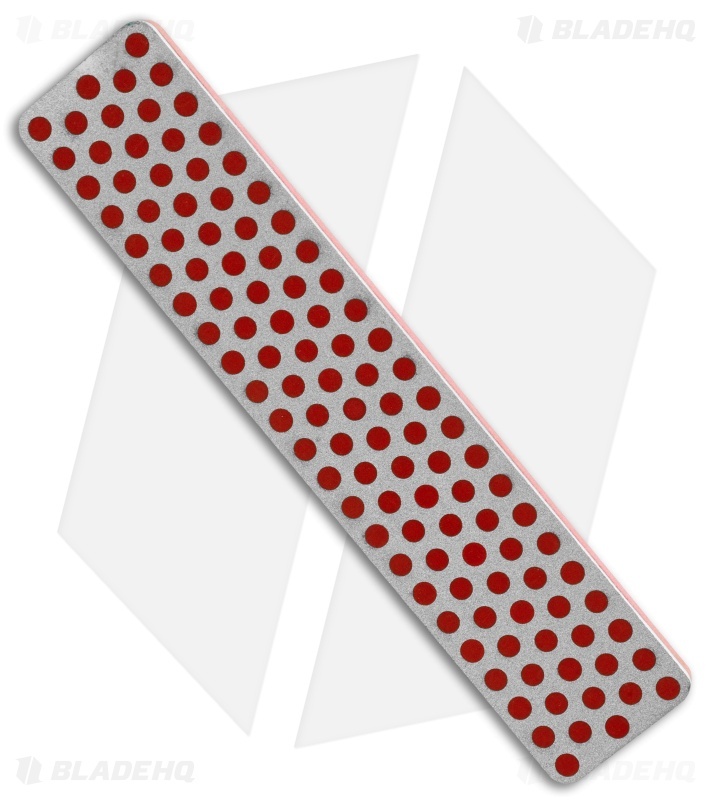 A thin layer of perforated steel is molded into a plastic base. The metal is covered with diamonds of precision size, embedded in nickel. This unique pattern of plastic and diamonds speeds sharpening and cleans away burrs. Uses water as lubrication. Note: An extreme edge can be obtained by working on progressively finer grits and finishing on extra-fine. This is a FINE grit. Whetstone measures 4.375" long by 0.875" wide.